Another suspected case of foot-and-mouth disease was found in North Chungcheong Province, the government said Thursday, fueling concerns over the spread of the highly contagious animal disease. The Ministry of Agriculture, Food and Rural Affairs said a "hanwoo" beef cattle farm in Chungju, 147 kilometers from Seoul, reported a possible case of FMD to authorities. Hanwoo is a kind of premium Korean beef. If confirmed, it would be the third farm to be infected with FMD disease this year. 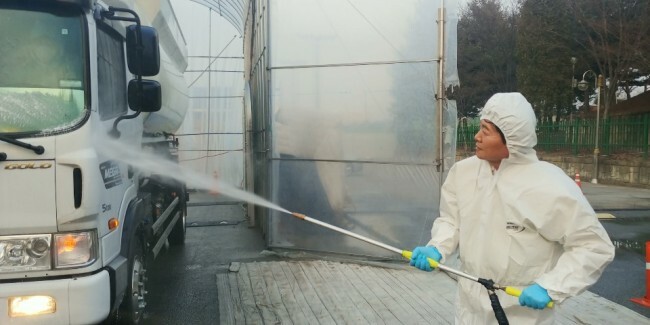 Earlier this week, the ministry confirmed two cases of FMD diseases in Anseong, Gyeonggi Province, around 80 kilometers the capital city of Seoul. An FMD case was first verified at a dairy cow farm in Anseong on Monday, with one more case being reported a day later at a hanwoo beef cattle farm. The two farms are 10 kilometers apart.